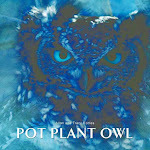 Pot Plant Owl: It moves! SO SO SWEET! Little white fuzzball! Thank you Tracy and Allan for everything! I believe "Usana" is baby in Zulu. Someone posted that "izibula" is "first born"
YAY!!!! This is wonderful!! Congrats and thank you SO much for sharing!!!! Congrats to PPO & Papa!